Musings on Realities: A Greatly Talented Artist! I received a fabulous gift from my friend Debs Pouliot - these amazing earrings! The earrings are quite unique, since they can be separated into three different styles depending on which dangly bits I want for the day. 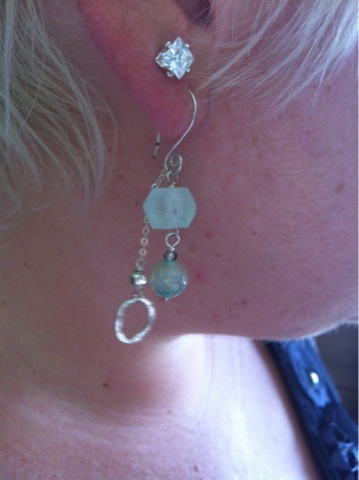 Great idea, and it makes the earrings very versatile. Read more about Debs here.